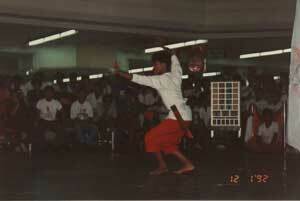 This was the 1992 Annual "Arnis Phil" Tournament held in Quezon City, Philippines. 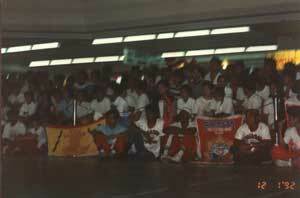 Maestro Jay was a guest of Grand Master Godofredo Fajardo, who served as referee and official at this tournament. 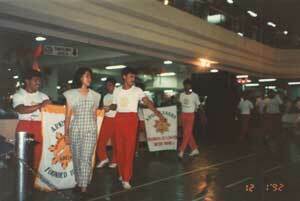 Parade of schools and competitors with their school banners and muses. 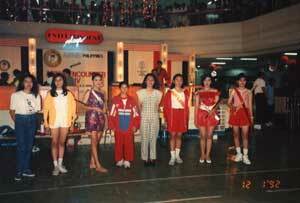 Muses of the Competing schools... and you thought the spectators came for the stickfighting? A finalist in the forms competition. 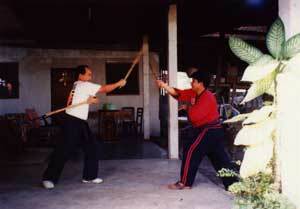 Sparring was a padded sticks compeititon. Note Red vs. Blue padded sticks and protective equipment. 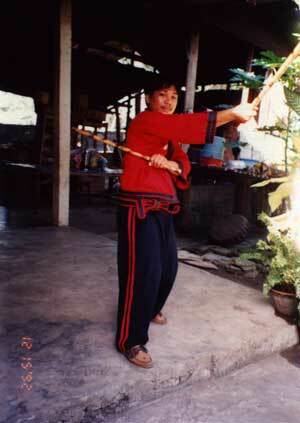 Because of the speed and sheer number of strikes generated by the sticks, stamina appeared more of a factor than techniques in garnering a victory. 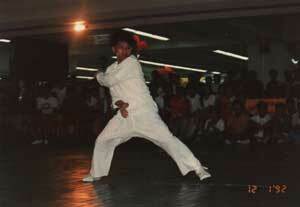 Grandmaster Godofredo Fajardo, Maestro Jay's private instructor. 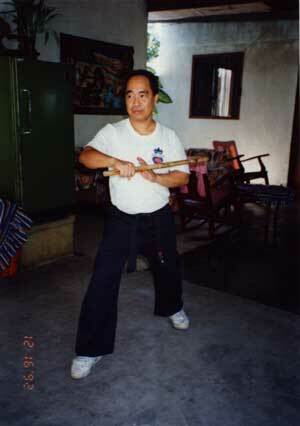 GM Fajardo was a former instructor, officer and tournament official of Naraphil and Arnis Phil. 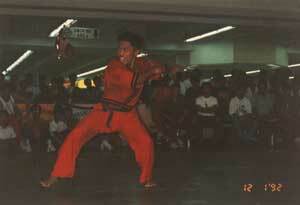 By this time, he had just formed his own organization called "Filipino Fighting Arts Int'l"
GM Fajardo and Maestro Jay doing double sticks training. The backyard begins where the plants are.